Rice is one of the most consumed crops in the world with China being the largest producer and consumer. It has been around for many thousands of years, originating in Asia and being introduced to Africa and America as travel developed. 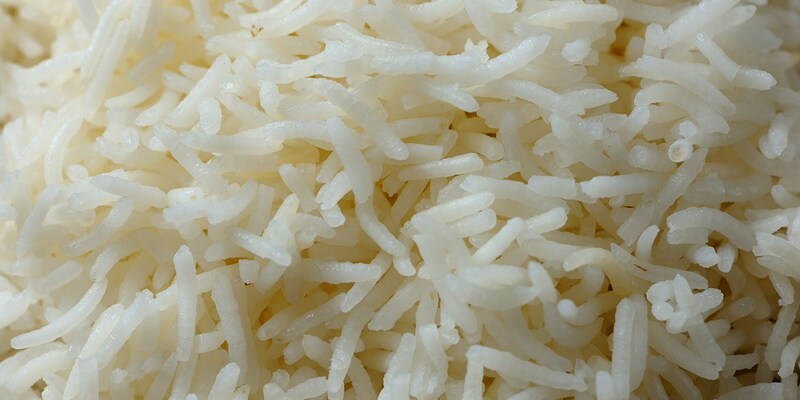 The type of rice preferred varies between countries; in India they use the long grain Basmati rice, Japan uses a medium grain sushi rice and Italy is famous for Arborio used in risotto. It is often recommended that rice be rinsed before cooking however this is not mandatory. Try adding spices such as cinnamon or cardamom to the rice as it cooks for a lovely perfumed flavour. Cooking times for brown rice will be significantly longer as the rice is less processed. If cooking sushi or sticky rice the amount of water and the cooking time will be less so always follow the instructions on the packet. Many people think of rice as an accompaniment to a curry like in Alfred Prasad’s Mushroom pulao recipe or Andy Waters’ Sweet potato and chicken curry but it can be the main ingredient too – Risotto, pilaf and paella are common rice recipes where rice takes centre stage. Try Paul Heathcote’s Mushroom risotto with Parmesan and truffle oil or Simon Hulstones’s Crab risotto with crème fraîche and chives. Rice goes with almost anything from curry to chilli con carne and kedgeree to rice pudding.